Last Sunday we focused on Paul’s speech before Agrippa and Festus. Some scholars suggest that speech is the climax for the Book of Acts. Paul lays out his history, theology and a summary of his actions. Paul is convinced of the resurrection and has placed all his trust in Jesus, his Lord. 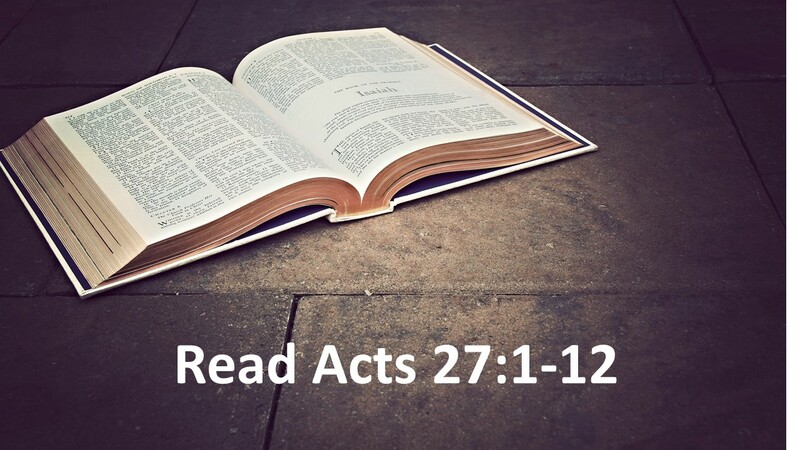 The remaining two chapters in Acts are almost anti-climactic, as Paul lives out his confidence in Jesus, fulfilling the prophecy that he will take the gospel to Rome. 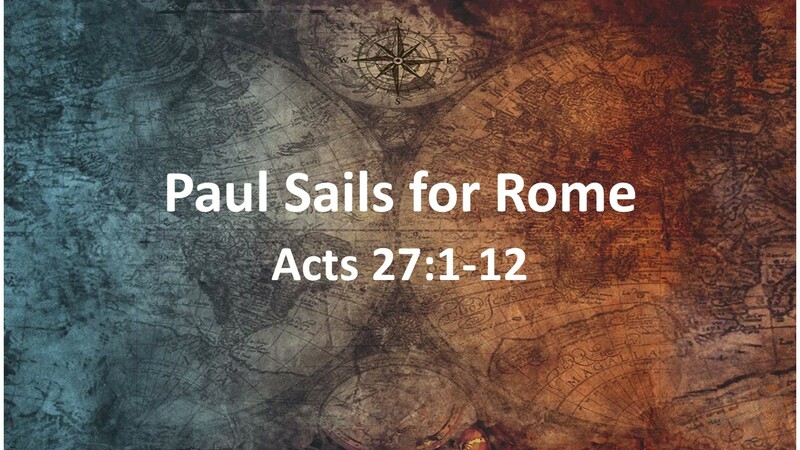 In today’s reading, Paul finally sets sail for Rome. We’ve been waiting for this journey for a long time. There are only two more chapters in this book… After today, we have three more Sundays and we’ll have completely covered this book. At this point in the story, the church has been established throughout the Roman Empire and Paul isn’t organizing any additional churches. Nor does Luke, the author of this book, provide any additional theological insights. Instead, what we have is a story of a journey. Like another journey that started from a tropical port that we’re all familiar with, they begin in optimism, but that soon wanes. As an introduction to the 27th Chapter of Acts, let me call on Gilligan and MaryAnn. 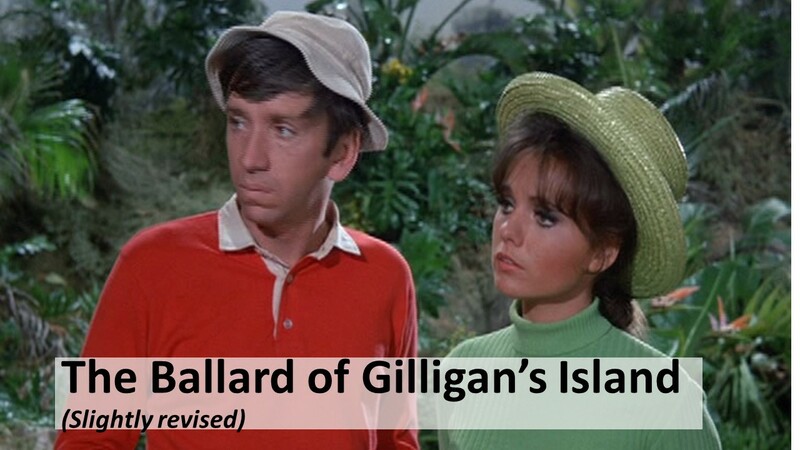 (That’s Gene Pinion singing and Mary McKee accompanying as they present the “revised Ballard of Gilligan’s Island.”). Paul is a seasoned traveler and has taken enough Mediterranean Cruises and racked up enough sea miles in his missionary journeys that he could have easily been a member of the Captain’s Club. Interestingly, in none of these earlier journeys has Luke given this kind of detailed information. We’re provided with the names of several of the travelers, the home base of the ship, all the ports of call, and the route the ship takes as it responds to the weather. What is Luke, the author, trying to accomplish with all this detail? In a way, Luke has slowed the action down. Way back in Chapter 19, Paul has been focused on going to Rome. But he first had to go to Jerusalem. 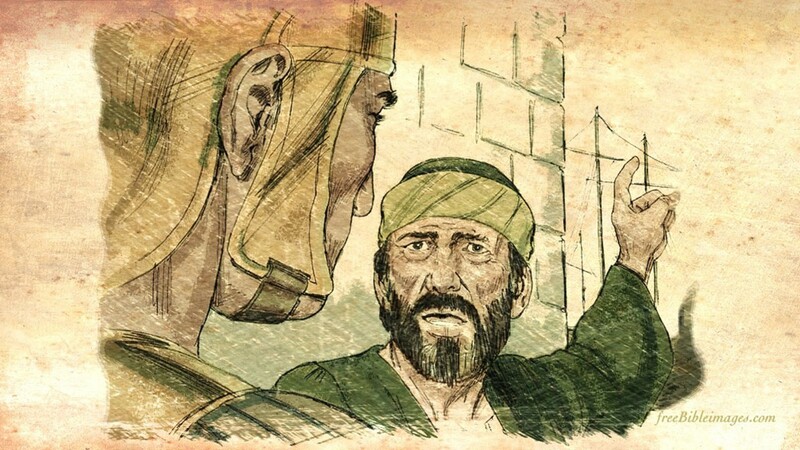 This appeared to be just a quick trip to the Holy City, but obstacles were continually placed in Paul’s path. It’s finally a relief that Paul is able to begin moving toward this goal of his, to be in Rome, the city that dominated the ancient world. What do we learn as Luke slows down his telling of the story? First of all, from the beginning, we learn that Luke and Paul are back together. Notice in verse 1, “When it was decided that WE were to sail to Italy.” We (those of us who are reading this today) don’t know what happened to Luke, but he last included himself in the narrative back in Chapter 21, just before Paul went into the temple in Jerusalem. Now it appears, Luke has rejoined Paul, as have at least one other believer, Aristarchus. Some scholars have suggested that these two may have traveled as Paul’s slaves, not only to help take care of Paul’s needs, but to elevate Paul’s status, which may be why he seems to receive special treatment by his guard. The journey begins with Julius, the centurion who is there to guard Paul, arranging a ship for the journey. This ship is from northwest coast of Asia Minor and was probably just a coastal vessel that sailed from port to port, never far from land. As it is late in the year for shipping, this ship is probably heading to its homeport for winter. 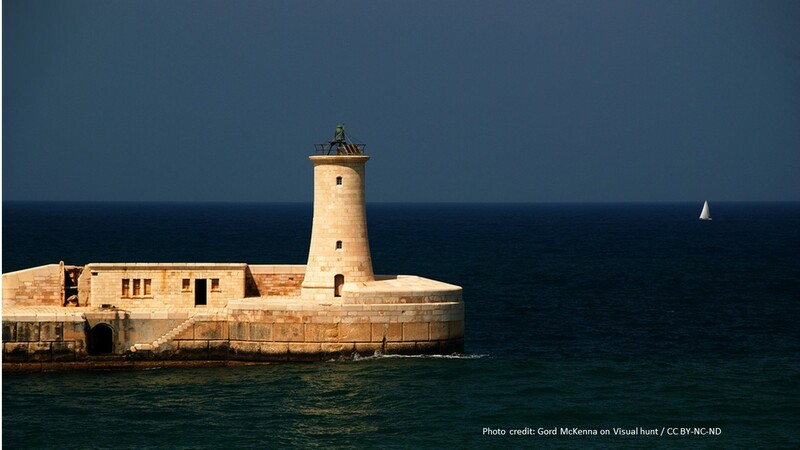 The first stop is at Sidon, and there Paul is granted freedom to go find friends who are able to help provide provisions for him. Undoubtedly, those aboard were responsible for their own food. This was a kind gesture by a Roman soldier who could have told Paul to tighten his belt instead of giving him freedom to seek out grub. Because of the wind, we’re told, the ship sails on the leeward side of Cyrus. Luke is building suspense here. The weather is changing. 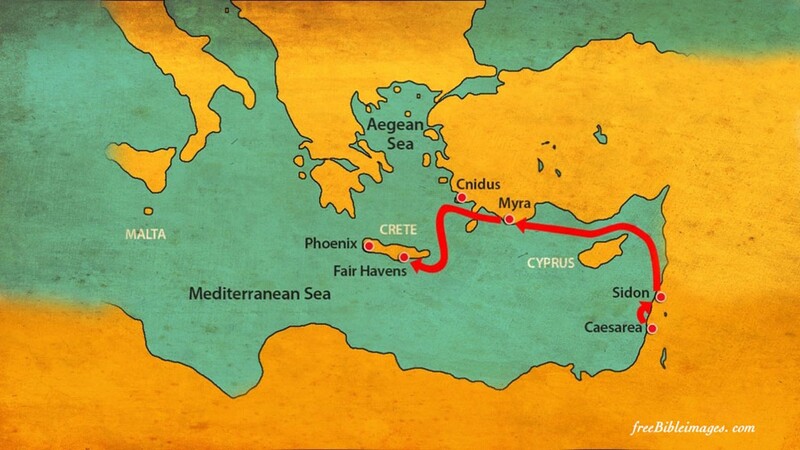 After several ports, they come to Lycia, where Julius finds another ship bound for Rome. 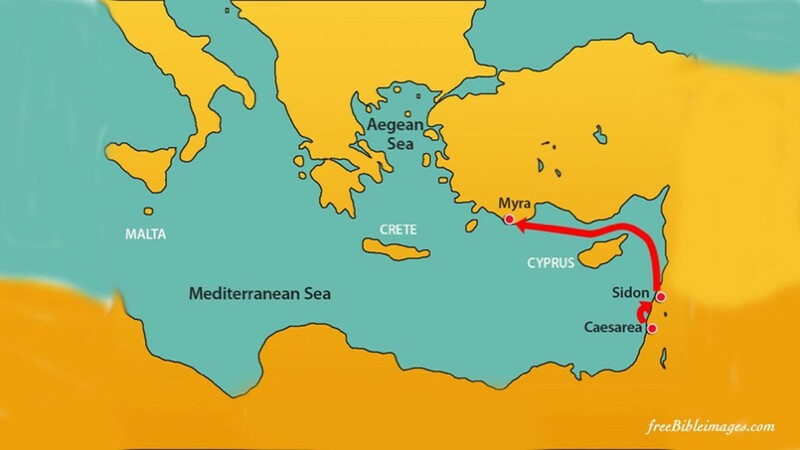 This second ship, which has sailed north, across the Mediterranean from Egypt, probably hauled grain. It’s well known that at this point in history, Rome’s breadbasket was Egypt. So ships would ply the waters from Alexandria to Rome. With this ship heading to Rome, it appears Paul has a straight shot to make it. But not so quick. 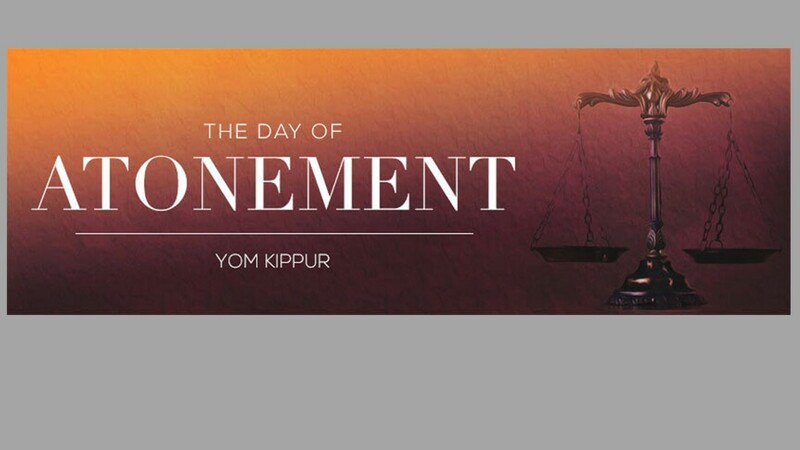 We’re now told it is after the Fast, meaning it’s after the Day of Atonement or Yom Kippur, which falls in late September to early October. This is a problem because we are now in a marginal season for sailing. By November, all shipping would come to a close. Now is the time for ships to find a safe harbor and wait out the winter winds. Paul understands this and argues that they remain at Fair Havens, which sounds like a wonderful place if you’re facing a winter storm. But Paul is not in charge of this ship. The ship’s owner and the sailors all prefer to winter in Phoenix, a harbor a little further down on the south side of Crete. Who knows why? Fair Havens appears to have been just an inlet, maybe Phoenix not only had a better harbor and a more exciting waterfront that could provide better entertainment for the sailors. So, with Paul’s warning ignored, they set sail and we’ll pick up the story from here next week. In a manner, this story is told differently than other stories of Paul’s travels. Instead of focusing on Paul’s work, Luke is now focusing more on Paul and the journey. While this is different from the rest of Acts, his writing in this chapter may have been included to please his readers. 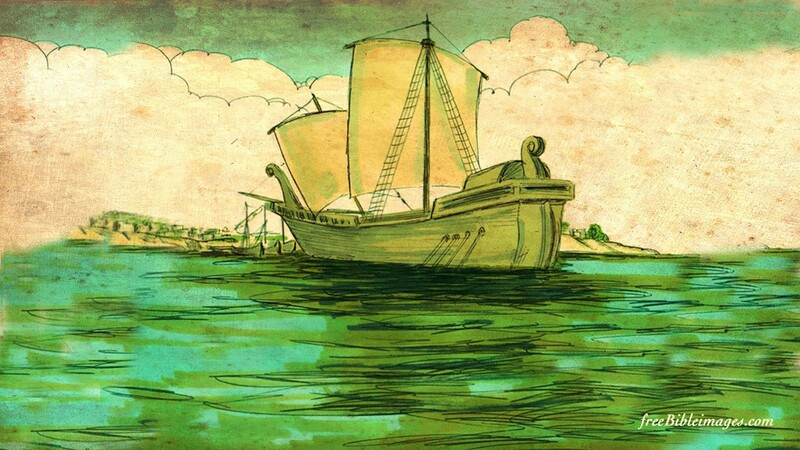 The human race, at least since Homer first wrote the Odyssey, has had a fascination with sea travel. The sea is a great mystery and still is in some ways. We know way more about the ocean today than then, but what goes on in the depths still baffles science. Perhaps, as one scholar suggested, including this sea journey was the same as a modern author including a chase scene in an adventure movie. It wakes us up and gets our heart racing. The call to faith is not a call to remain where we are at. It’s a call to follow, it’s a call to a movement. As I’ve often reminded you as we’ve gone through this book, the early church didn’t have names like “The First Presbyterian Church of Antioch.” The church was first known as “The Way.” The journey is important whether or not we actually leave the place we live. At least metaphorically, we are all called to leave behind the past and to move forward into a new life with priorities that are based on Kingdom values. 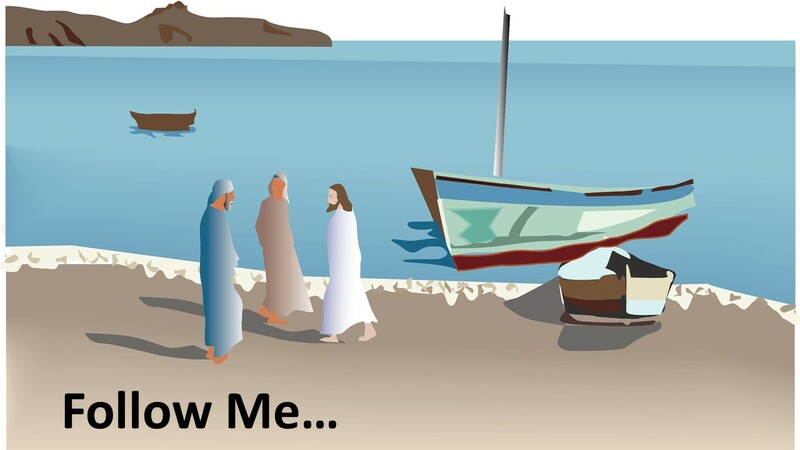 “Follow me,” Jesus says. For Paul, that means he had to leave behind being a Pharisee, his Jewish heritage, the Holy City of Jerusalem, and head to Rome which was, in the first century, the center of the world. Paul was called as an Apostle to the Gentiles and that requires him to be willing to go where they were living. It also means, as we see in this text, that even though Paul was reluctant to go forward at times, wanting to take the safe way, sometimes we are dragged along and have to go on faith. You know, it used to be said of churches that “if you build it, they will come.” But that day has long past. Today, most people advising churches on how to engage the culture is saying that we can’t expect people to come to us; we have to go to them. As I have tried to inform you through this series, there are many great similarities between the church of today and the church of the 1st Century. We both are called to do what we can to reach people where they’re at and in most cases that means we need to leave the pews and go be the church into the world. 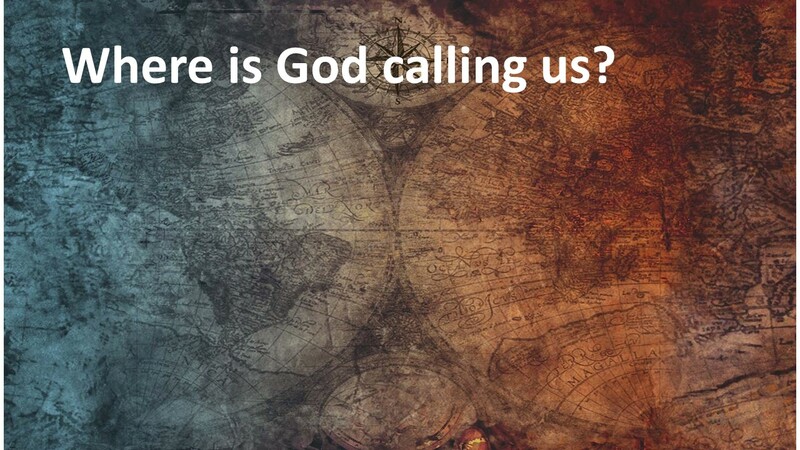 Where is God calling you? What need in the world is God calling you to help address? Is there someone that could use a friend that you could reach out and share the love of Jesus? Are there people who need to hear the message of hope that has been entrusted to the church? Are there ways you can become involved in the movement to building Jesus’ kingdom? Do you need to talk to someone to help you figure out your journey? If so, come talk to me or seek out a faithful friend. Being on a journey means we must get out of the pews and go and love and serve the world. Amen. Beverly Roberts Gaventa, Acts (Nashville: Abingdom, 2003), 349. F. F. Bruce, The Book of Acts (Grand Rapids: Eerdmans, 1986), 501. Gaventa, 349. William Willimon Acts (Louisville, KY: WJKP, 2010), 182-183. Matthew 4:19, Mark 1:19, and John 1:36, 45. In Lasting Impact, a book the Session of SIPC is studying, the author discusses these trends and how the church should respond. See Carey Niewhof, Lasting Impact (Cummings, GA: The rethink Group, 2015).